With the blessing of Bishop Robert J. Cunningham, we celebrated the shared Mission Statement of the 22 schools in the Diocese of Syracuse at the Opening of Schools Liturgy. Representatives from each of the schools who serve on the Middle States Accreditation System Planning Team recently penned the statement for the school system. The writing process served to remind us that, even though our schools may be located in various geographic areas, we share a common ministry. Whether we serve in elementary or secondary schools, we are members of faith communities committed to the education of the whole person. In keeping with the Middle States accreditation process, and with a deliberate focus on faith formation, academic excellence, character develo­p­ment and physical education, we are striving to establish cultures of continuous improvement throughout the system. The mission statement, as well as the additional foundation documents of Belief Statements and Profile of the Graduate provides direction and guidance in goal setting. Jesus is the Master Teacher and role model for educators. 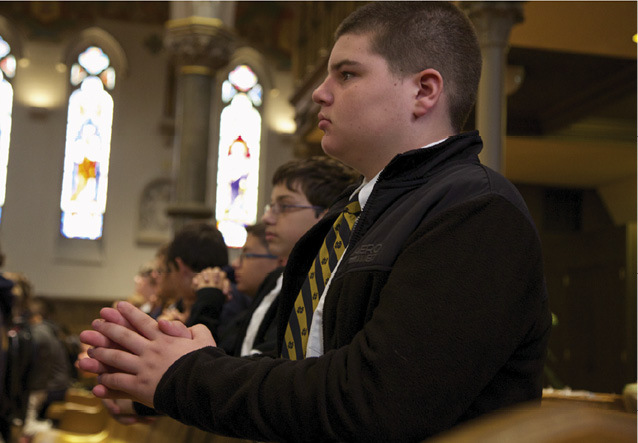 Catholic schools carry out the educational mission of the Church and maintain healthy relationships with parishes. 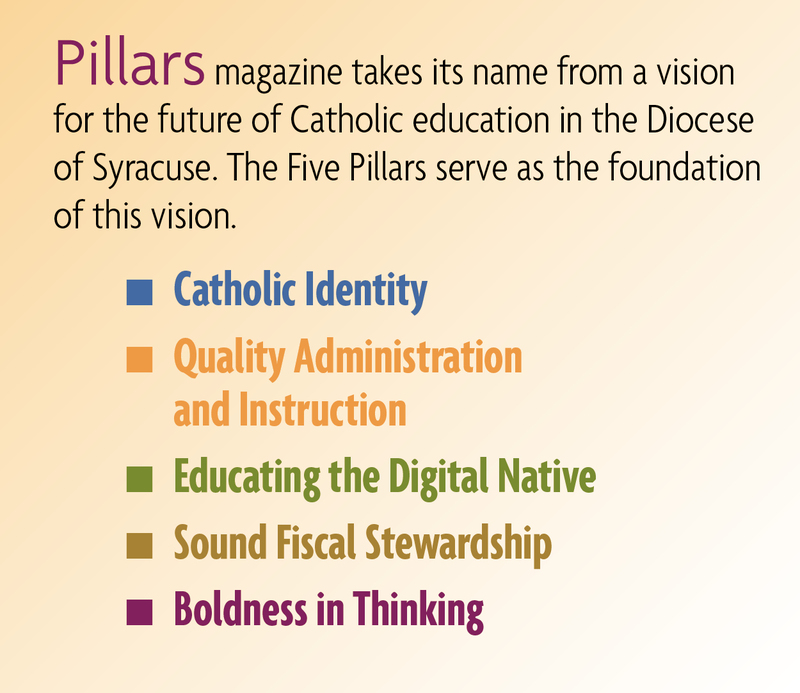 Schools within the system are aware of and focused on the common mission of Catholic schools in our diocese; the Catholic Identity of our schools provides the added dimension of a Catholic school education. Parents are the primary educators of their children; Catholic schools work in partnership with parents to transmit our faith and values. Teachers in our schools are prophets; they bring the Good news of God’s love and salvation. Children learn at different rates and in different ways; each is a unique child of God. Teachers should be immersed in collaborative professional learning communities that foster growth in all areas of responsibilities. 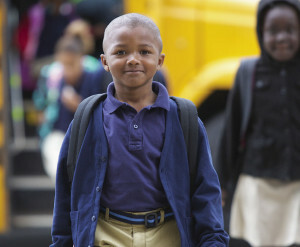 Our school cultures should promote continuous improvement of individuals and programs. Schools within the system should be aligned in regard to educational programs while adhering to National, State and Diocesan standards. Schools should practice sound fiscal and responsible stewardship practices. Students should have a sense of responsibility for the environment and all of God’s gifts.